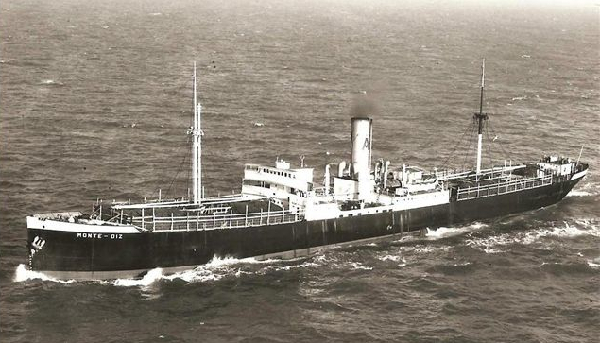 Tajuña She was owned by a German shipping company and was interned at Las Palmas de Gran Canaria because she took refuge there during the Second War World. 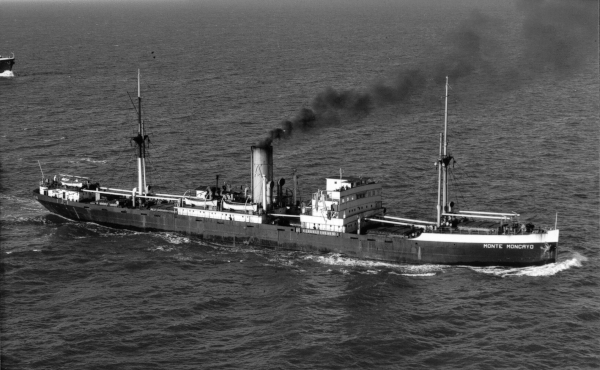 She was delivered to Naviera Aznar by the German Government as compensation for the sinking of the Monte Gorbea and renamed Monte Moncayo. 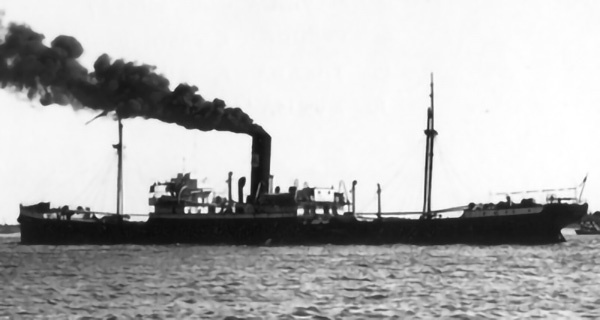 She was bought on 1954 by Marítima Madrileña and renamed Tajuña. She grounded on 1957 at Mazarrón (Murcia) when the anchor dragged due rough weather, whilst waiting for loading, being total loss.